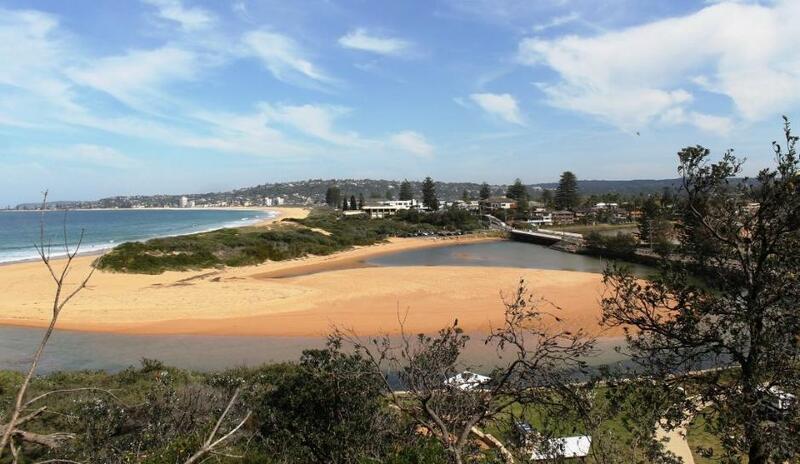 The view south from North Narrabeen - A J Guesdon picture. 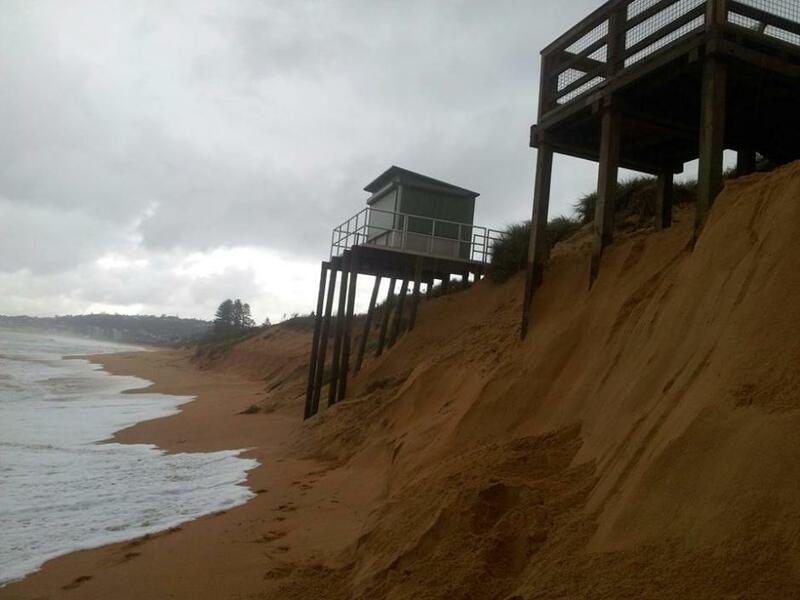 Coastal erosion of Australia's beaches could be worse than previously predicted. The projected upsurge of severe El Niño and La Niña events will lead to extreme coastal flooding and erosion in populated regions across the Pacific including Australia, according to a new multi-agency study. The impact of these storms is not presently included in most studies on future coastal vulnerability, which look primarily at sea level rise. New research data, from 48 beaches across three continents and five countries bordering the Pacific Ocean, suggest the predicted increase will exacerbate coastal erosion irrespective of sea level rise affecting the region. The study, involving 13 institutions, including the US Geological Survey, UNSW Australia, University of Sydney, and the University of Waikato (New Zealand) is published in the journal Nature Geoscience. Researchers analysed coastal data from across the Pacific Ocean basin from 1979 to 2012. The scientists sought to determine if patterns in coastal change could be connected to major climate cycles. Data came from beaches in the mainland United States and Canada, Japan, Australia, New Zealand and Hawaii. Although previous studies have analysed coastal impacts at local and regional levels, this is the first to pull together data from across the Pacific to determine basin-wide patterns. The research group determined all Pacific Ocean regions investigated were affected during either an El Niño or La Niña year. When the west coast of the US mainland and Canada, Hawaii, and northern Japan felt the coastal impacts of El Niño, characterised by bigger waves, different wave direction, higher water levels and/or erosion, the opposite region in the Southern Hemisphere of New Zealand and Australia experienced “suppression,” such as smaller waves and less erosion. The pattern then generally flips: during La Niña, the Southern Hemisphere experienced more severe conditions. The study also investigated the coastal response of other climate cycles, such as the Southern Annular Mode, which has impacts at the same time in both hemispheres of the Pacific. The data revealed that when the Southern Annular Mode trended towards Antarctica, culminating in more powerful storms in the Southern Ocean, wave energy and coastal erosion in New Zealand and Australia increased, as did the wave energy along the west coast of North America. Other modes of climate variability, such as the Pacific North American pattern, which relates to atmospheric circulation in the North Pacific, are linked to coastal impacts that are more tightly restricted to the northern hemisphere. Linking coastal erosion to natural climate patterns, such as El Niño/Southern Oscillation and the Southern Annular Mode, can be challenging. “Coastlines of the Pacific are particularly dynamic as they are exposed to storm waves generated often thousands of miles away." A co-author of the paper, Professor Andrew Short from the University of Sydney, says forecast increases in the strength of El Niño and La Niña weather events driven by global climate change means coastal erosion on many Australian beaches could be worse than currently predicted based on sea level rise alone. “During enhanced La Niñas we can expect more tropical cyclones and east coast lows off the coast, leading to damaging cyclones and storm surges along the Queensland coast and severe beach erosion along the New South Wales coast. The more benign El Niños will bring fewer cyclones and long periods of lower southerly waves. These will rotate the beaches to the north, building out the northern ends, while severely eroding the southern corners of the beaches, where most development usually occurs. These impacts will take place irrespective of the amount of sea level rise. “Coastlines of the Pacific are particularly dynamic as they are exposed to storm waves generated often thousands of miles away. This research is of particular importance as it can help Pacific coastal communities prepare for the effects of changing storm regimes driven by climate oscillations like El Niño and La Niña. To help us complete the puzzle, for the next step we would like to look at regions of the Pacific like South America and the Pacific Islands where very limited shoreline data currently exists,” said Mitchell Harley of UNSW Australia, and a coauthor of the paper. UNSW co-author Dr Mitchell Harley said: “Coastlines of the Pacific are particularly dynamic as they are exposed to storm waves generated often thousands of miles away. This research is of particular importance as it can help Pacific coastal communities prepare for the effects of changing storm regimes driven by climate oscillations like El Niño and La Niña. To help us complete the puzzle, for the next step we would like to look at regions of the Pacific like South America and the Pacific Islands where very limited shoreline data currently exists." The published paper, “Coastal vulnerability across the Pacific dominated by El Niño/Southern Oscillation” is available online.